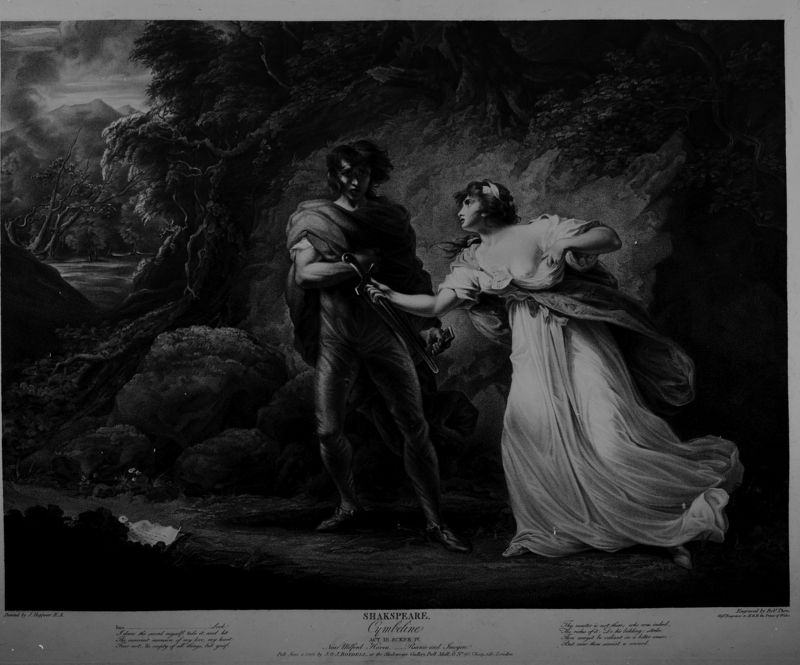 Painted by J. Hoppner R.A.
Engraved by Robt. Thew, Hist.l Engraver to H.R.H. the Prince of Wales. Imo. Look! / I draw the sword myself: take it, and hit / The innocent mansion of my love, my heart: / Fear not; ’tis empty of all things, but grief: / Thy master is not there; who was, indeed, / The riches of it: Do his bidding; strike. / Thou may’st be valiant in a better cause; / But now thou seem’st a coward.